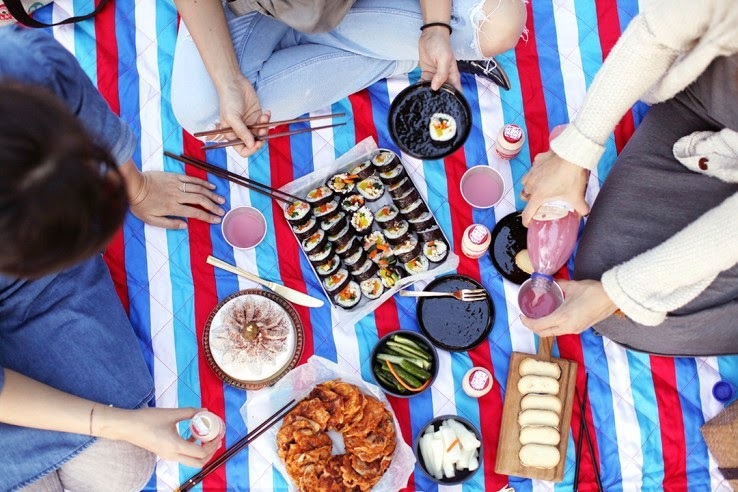 Why get grass stains on your favorite duds when you can pick up a picnic mat at Daiso for a few bucks? These easily toteable mats pretty much last forever and come in handy a lot during picnic season, whether at the park or a rooftop party. A less healthy but even tastier Korean picnic staple is fried chicken. But even better than the dish itself is the picnic culture that surrounds it. 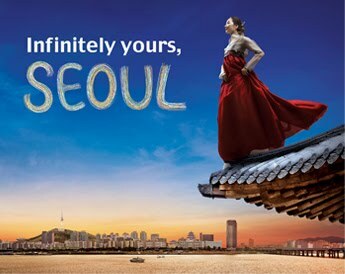 In many of the green spaces around Seoul, like the Han River and the Dream Forest, nearby chicken restaurants will actually deliver your order right to your picnic spot. For reals. Just keep an eye out for their fliers, make a phone call, let them know where you are and they'll bicycle it over in record speed. Did I mention they also deliver beer? So there you have it. 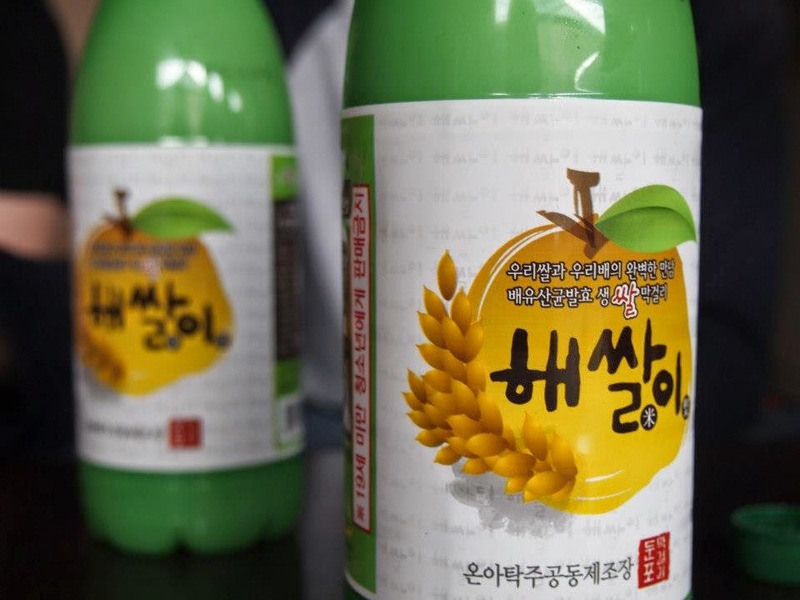 Your packing check list for a great Korean picnic. 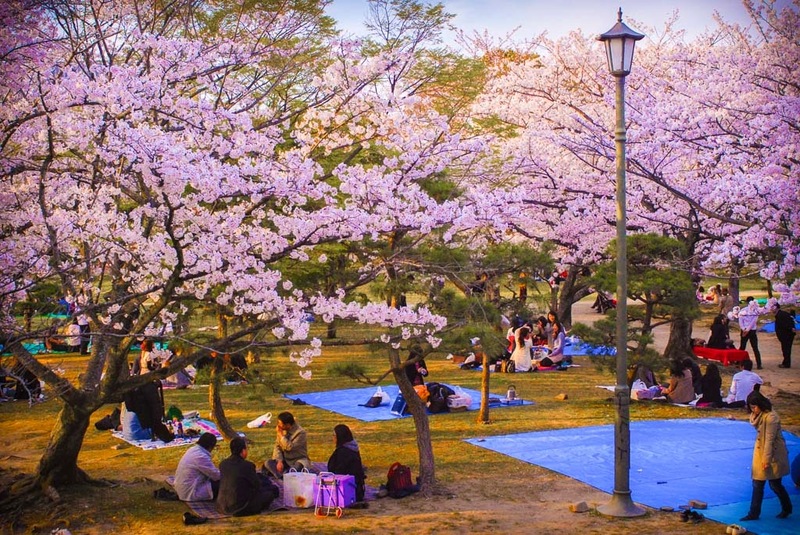 Plan out your picnic spot using this list of the top 10 outdoor spaces in Seoul and enjoy!